At the recent 40th anniversary celebrations special recognition was given to Anne Green Jessel whose vision for diving in Reading started the club back in 1968 as part of Reading Swimming Club and then Albatross, a stand alone entity, from 1978. in tribute to her lifetime achievements Anne received a spontaneous standing ovation from the room of 120 adults and children. Anne was later presented with the Albatross 40th Anniversary Commemorative award in recognition of her drive and vision in founding Albatross Diving Club 40 years ago and as tribute to the positive difference she has made to so many young people who have dived with Albatross since then. 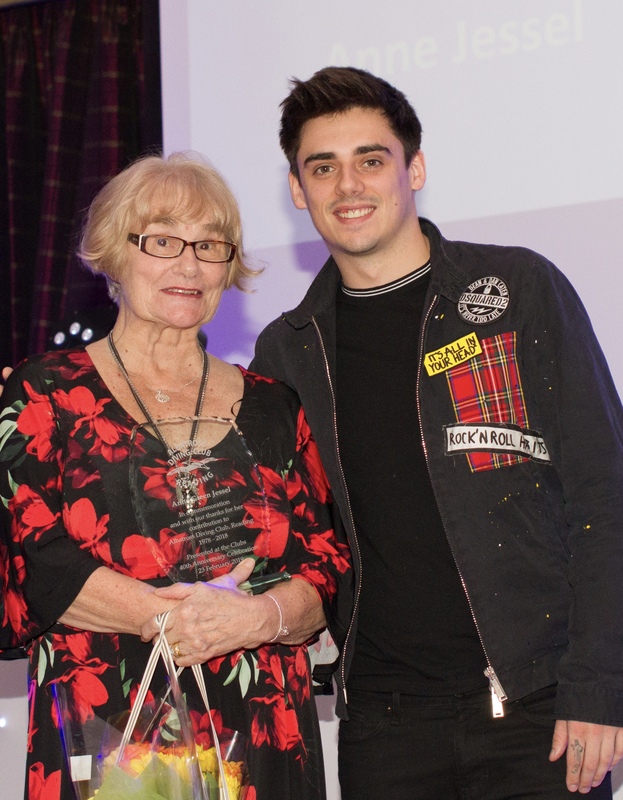 It was especially fitting that the guest of honour was Chris Mears, Reading’s Olympic diving gold medalist from Rio 2016 who started his diving career with Albatross.